Melody Yazdani is a mother of four and has been at this whole parenting thing for over 12 years now. But even after more than a decade of raising babies, Melody learns something new [every day]. 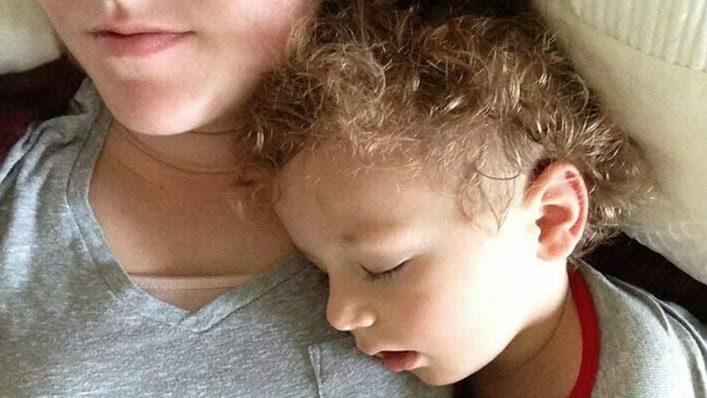 In a viral Facebook post that’s now been shared almost 200,000 times since last Wednesday, Melody calls on all parents to be aware of the “huge red flag” in a picture of her son sleeping on her chest. She starts by giving the history of behavioral problems she began having with her son, Kian, shortly after he started school. The now-8-year-old who Melody describes as “determined, intelligent, feisty, and extremely active,” had been fine in school all the way through Kindergarten. But when first grade rolled around, they began receiving behavior reports. Kian was pushing fellow classmates, he had a hard time controlling his body and needed to be on a reward system in the classroom. Things seemed to improve at school, but at home, it did anything but. When second grade came around, Kian was only getting worse. “While other kids are outgrowing their tantrums, Kian’s intensify and turn into daily spectacles, triggered by the smallest thing. The behavior reports from school start rolling in. ‘Kian is pushing,’ ‘Kian can’t control his impulses,’ ‘Kian is having a hard time staying in his seat,’ and it [goes] on and on. Almost daily. And I’m mortified. Melody says that Kian began seeing a multitude of doctors — everyone from his pediatrician to a therapist to a pulmonologist and an allergist. He had a persistent cough that refused to go away, behavioral problems through the roof, and no sign of knowing what was actually the root of the problem. Kian’s therapist was very confident in the need for ADHD testing, pushing Melody in that direction. It wasn’t until Kian saw the least-likely of doctors on his long list of specialists that Melody finally got a lead on what was triggering her son’s behavior issues. That was when everything changed. At the perfect time, Melody stumbled across an article in the Washington Post that studied the connection between ADHD, sleep-disordered breathing, and mouth breathing. Mouth breathing is NOT NORMAL and has long term consequences for health. I’ll repeat, because this is important — MOUTH BREATHING IS NOT NORMAL, NOT DURING THE DAY OR AT NIGHT. When a child breathes through their mouth, their brain (and body) is not getting enough oxygen. At night, this lowered oxygen saturation is detrimental to the quality of sleep and their brain’s ability to get enough rest. When sleeping, in addition to the decreased oxygen, the recessed jaw can cut off the airway completely and contribute to sleep apnea in children. To compensate, the body wakes the child and pushes the jaw forward, resulting in disrupted sleep cycles and tooth grinding (bruxism). Sleep deprivation in children and ADHD exhibit the same symptoms. The EXACT SAME SYMPTOMS. Studies have been done (thanks, NIH) where they took medicated ADHD kids, fixed the sleep disordered breathing, and within [six] months 70 [percent] of the children had seen a resolution in symptoms and were no longer medicated. As in, their ‘ADHD’ was cured. Because it wasn’t ADHD. In 70 [percent] of children. Let that sink in. This means that 70 [percent] of those children had been misdiagnosed with ADHD, when they actually had a treatable sleep disorder. Stimulants — Of course, they work, until they don’t. If you are sleep deprived, taking a stimulant will, of course, help you focus and feel ‘normal.’ But the brain is never fully resting — and hence the side effects that pop up: nervousness, agitation, anxiety, sleep problems (insomnia), stomach pain, loss of appetite, weight loss, nausea, and suicidal ideation. Melody puts it like this: Imagine yourself after three days of sleep deprivation. Now multiply that by 100, and then add a stimulant like caffeine or something even stronger into the mix. “How do you think you’ll feel once you start coming down from that?” she asks. After doing some hard long research, Melody finally got Kian to see an ENT (ears, nose, and throat specialist). Following an eye-opening sleep study, Kian was diagnosed with sleep apnea and sinusitis. Melody says they have seen a “complete 180” in Kian’s behavior. In her post, Melody says she’s sharing her experience because her child was sleep deprived and it disguised itself as ADHD. Kian’s brain, and thus, his body, wasn’t getting the proper rest that it needed simply because he was breathing with his mouth open. 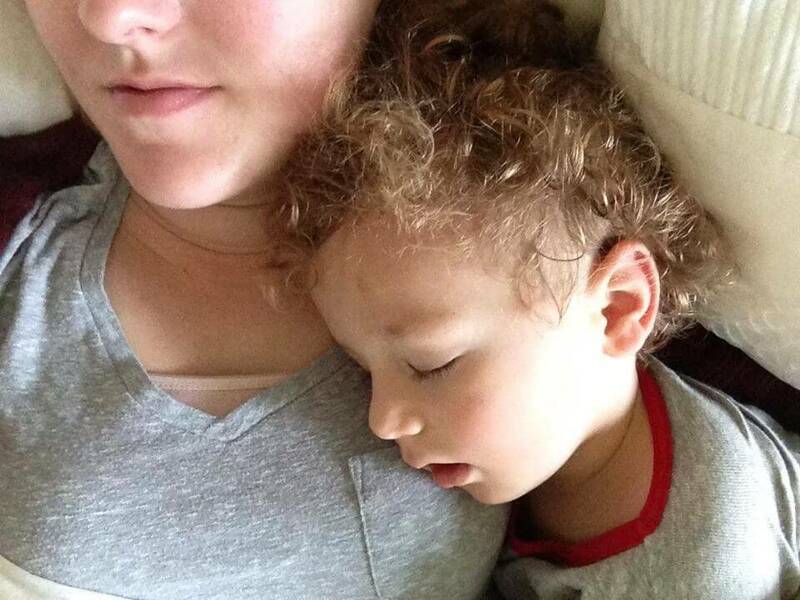 Melody says no one had ever told her about this relationship between sleep disorders and ADHD, but it’s something every parent needs to know about, because it’s radically transformed her son’s quality of life.